If you look for proper high quality sofa, mattresses,car or bus seats, curtains,furniture and any other type of upholstery cleaning, we are one of the best in this sphere. To have a permanently clean upholsteries with visible results you need the help of professional upholstery cleaning company like ours. We work and provide the finest cleaning solutions in Finchley, London. The only effective upholstery cleaning is not done with conventional resources but only with the help of steam vacuum cleaning. To have your sofa, armchair, car seats eliminated from every dust, pollen or insect eggs you need the help of our powerful steam cleaners. The technical knowledge, skill and experience our cleaning technician have will help them do the upholstery cleaning professionally. You can’t do these tasks alone and the results of your work won’t last for long. CleanersFinchley has the cleaning solvents and detergents that best removes spilled drinks, food leftover, dirt and dust from your upholstery. The vacuum cleaners our staff is supplied with, use steam to remove any stain and dirt deep from the root of the fabric of your furniture. Don’t leave your upholstery befouled and dirty too long because the longer you wait the harder it will be to restore their condition. We will perform the most effective and gentle for the fabric of your upholstery cleaning. The steam cleaning we apply saves the material of your upholsteries and is one of the best cleaning solutions. Our upholstery cleaning employees attend regular education and trainings to be proficient in their work. We use highly effective machines for deep extraction of any dirt and bacteria from your mattresses, sofas and armchairs. To have long term results you should do your professional upholstery cleaning regularly, at least once a year. 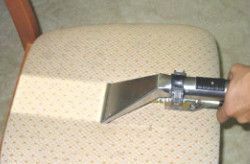 The more often you do upholstery cleaning the sooner you will obtain visible results. 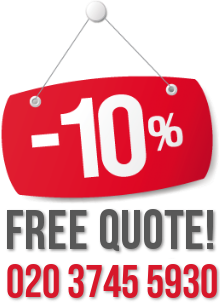 Our services in Finchley will save you lots of time and money and will recover your armchairs, sofas and mattresses. With our help you won’t need to buy new furniture so often. A well maintained and conditioned upholstery ensures a healthy and pleasant atmosphere in your home. Book us now and you won’t regret.